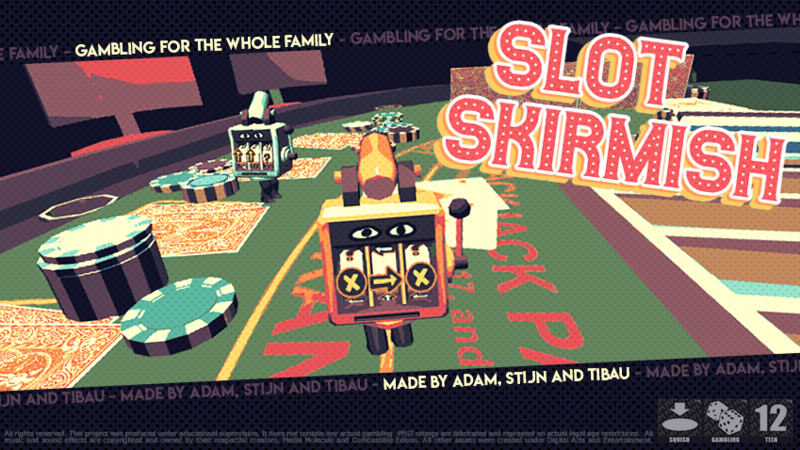 Play as cute little slot-machine boys and battle it out in this local 4-player splitscreen versus game! 3 Casino-themed levels: Battle it out on a blackjack table, or maybe even a roulette table! 2-4 Players: Duel it out for honor or have a massive battle with all your friends! Modifiers: No game is the same when you play with one of the 6 modifiers. Slow motion, filters, randomness,.. you name it! At least 2 Controllers required!